Kelp forest and rocky reef scenes of Eastern Pacific Ocean. You never know what you will find taking advantage of the kelp forest's protective covering. 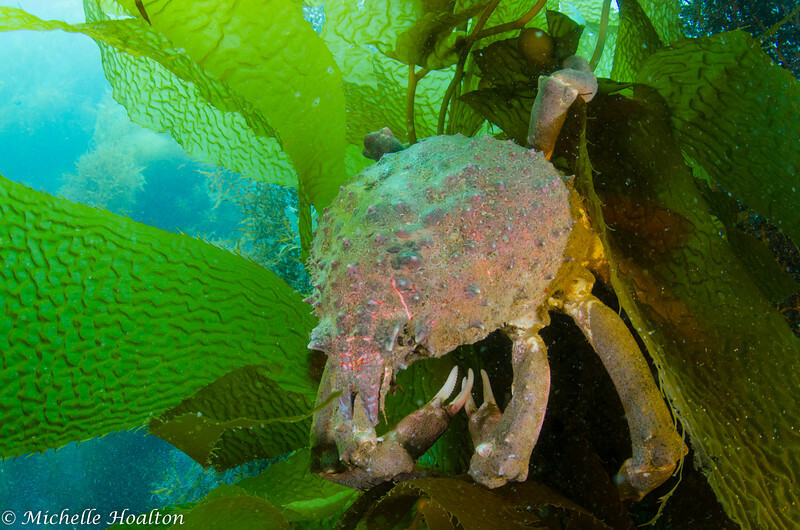 On this occasion, a large sheep crab hovers on the bundled blades of kelp.